Q. 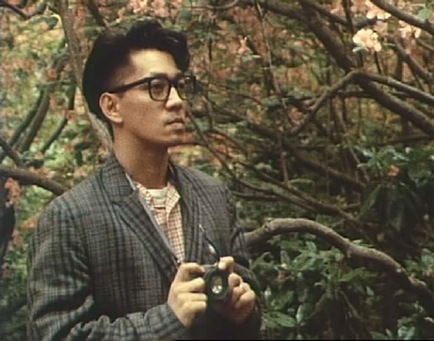 You directed in 1985 a beautiful documentary film called TOKYO MELODY about Ryuichi Sakamoto. How did this French project start? Elizabeth Lennard: I attended the Cannes Film Festival in 1984 at the first screening of "Merry Christmas Mr. Lawrence" (Furyo) by Nagisa Oshima. Sakamoto's music was a revelation; the incredible relationship to the images and I was fascinated by Ryuichi Sakamoto's persona in the film. Q The film was funded by INA (Institut National de l'Audiovisuel) and the FR3 channel. Was it easy to get them involved? Did you work with a Franco-Japanese crew? Did they went along together easily? E.L. When I came out of the Cannes screening I ran into two producers from l'I.N.A., Muriel Rosé and Sylvie Blum whom I knew a little from having done a short film produced by l'I.N.A. and I had also shown them a documentary of mine on the piano duo, the Labèque Sisters. They shared my fascination with Ryuichi Sakamoto and were trying to come up with projects which would combine l'I.N.A. 's "experimental" attitude to television and Pop music or "Varieté" - They told me that if I had a way of approaching Sakamoto they would produce a documentary... They got FR3 involved or perhaps they had already spoken to FR3 about doing "experimental" documentaries about music. I brought my French l'I.N.A. crew to Japan. In Japan we had the invaluable help of Pete Barakan, who was Ryuichi Sakamoto's right-hand man at the time. Q. What was your relationship with Japan before filming? E.L. Besides my love of Japanese food I knew very little about Japan before going there, alone to scout locations. Q. 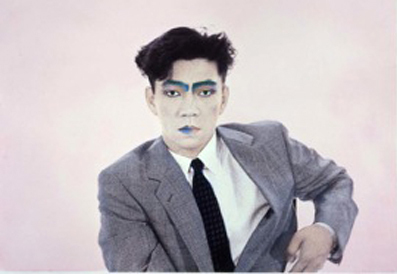 Did you know the music of YMO (Yellow Magic Orchestra) and Sakamoto before going to Japan? If yes, how did you get into this music? E.L. When I returned to Paris from Cannes, I thought to myself, how could I possibly contact Sakamoto? Internet didn't exist. Fax machines were just being invented. I had lived in Los Angeles in the early 70's and worked my way through UCLA film school doing album covers. (I am also a photographer.) I would visit the record companies and they were very generous to me and gave me lots of free albums. A & M Records distributed YMO at the time. I looked in my cupboard and I found lots of YMO records with wonderful covers. I began to listen to them. But I had no way of getting in touch with Sakamoto. Then I went to New York, where I lived part of the year, and went to dinner at ODEON. Miraculously seated at another table, was the former creative director of A & M records in L.A. Jeff Ayeroff, for whom I had worked. I went over to his table to say hi, and another coincidence, Kiki Miyake, a japanese girl who lived in New York and who had accompanied the YMO tour in the U.S., was seated at Ayeroff's table. We were introduced and I met with her and I began to elaborate my project, while Miyake talked to me about Tokyo and Sakamoto. She sent him some of my photo postcards and arranged for me to meet Ryuichi in Berlin where he was recording an album with David Sylvian. Q. You filmed Ryuichi Sakamoto during the process of creation and recording, very intimate and unique moments. Was it easy to get the musician's approval? What memories do you have of this extraordinary experience? E.L. So I flew to Berlin and straight off the plane went to the studio near the Berlin wall where Sakamoto and Sylvian were recording. I listened and waited and finally I had my meeting with Sakamoto, to whom I showed some more of my photoworks and spoke about my ideas for TOKYO MELODY: a double portrait of himself and a sound portrait of Tokyo as seen through his eyes. We hit it off right away, and he liked my idea, and after helping l'INA negotiate with Sakamoto's producer via telex machines they reached an agreement. Sakamoto was a very cooperative subject, at home with the camera, a true creative person, interested in the creative process. I had thought, from seeing "Merry Christmas Mr. Lawrence" that he spoke English well, but in fact his English, at the time, was not very good, and most of the time we spoke thru an interpreter. But I think we understood each other. When we finished the film, edited by the Paris based japanese editor Makiko Suzuki, Sakamoto came to Paris for a concert and we gave him a private screening for his approval. I can honestly say, he loved the film and was very moved by it. Q. Sakamoto seems to have a personal driver in your film. Did he live and behave like the superstar he was at this time? Did you share other moments together, apart from filming? E.L. It's not that Sakamoto "behaved" like a superstar, he was a superstar- totally sheltered from his public. Don't forget, YMO were considered to be the "Beatles" of Japan. When I suggested that I film him at Shinjuku or in the metro he was amused by the idea. We filmed at Shinjuku very early in the morning and young japanese girls gathered around weeping with emotion. In the metro it was in and out very quickly, but we were lucky in that we found a poster with Sakamoto in an ad. At Tokyo Tower we did have to stop shooting because a big crowd gathered in a few minutes and my producer was worried about crowd control. But I think Sakamoto was delighted to be so close to his fans. Q. The sequence with Akiko Yano and Ryuichi Sakamoto playing together is very moving. What memories do you have of Akiko Yano? Where Sakamoto and his wife close to each other? E.L. When we filmed at Ryuichi Sakamoto and Akiko Yano's residence, Sakamoto was very clear that we had to ask Akiko's permission to shoot. As I was told is the custom in Japan, the woman runs the household and makes decisions about what goes on there. They seemed close at the time and their duet was impromptu. Sakamoto has great respect for Akiko as a musician and performer. Q. Tokyo and Japan seem to have started to spread influence in the 80's. Wim Wenders shot his movie TOKYO-GA in 1985 too. Did you remember this period as a blooming period for Japanese culture? E.L. In fact, I shot my film in 1984. When I finished the film, Tokyo Melody got onto the film festival circuit and toured worldwide, often in a program with Wim Wender's TOKYO-GA and Chris Marker's SANS SOLEIL or at the same festival with Paul Shrader's MISHIMA. I do think there was a great deal of curiosity about Japan at the time: similar to now. Q. 25 years later, what remains of this Japanese experience? Have you been in Japan since then? Do you feel like it's a different country now? Q. I've directed a documentary about the French electro-pop music pioneer Jean-Jacques Perrey, who was born in 1929. It's called "Prélude au sommeil" (2009). Are you familiar with him and other electronic music pioneers? E.L. I'm not familiar with Perrey, but I would love to see your documentary. i do know and appreciate Pierre Henry. Q. Can you say something about you? What are the highlights of your artistic life? What is your career focused on? E.L. Tokyo Melody was one of the highlights of my filmmaking career so far... and I have continued to make documentaries on other "cultural" subjects. Another highlight was the creation of a video opera "Accents en Alsace" based on a Gertrude Stein play with the composer Marc Olivier Dupin which premiered in 2002 at the Musica Festival in Strasbourg and at the MC93 theater in Bobigny. I continue showing my photo works in which video plays a large part; (I have some work currently on show at the Marie Victoire Poliakoff Gallery 95 rue de Seine, 75006 Paris and in New York at Dinter Fine Art Gallery). I just did a video for my writer friend Danielle Mémoire's "Rosebud" piece at the Centre Pompidou. I love to combine images with music. My dream is to make a feature film -the screenplay is ready- I'm just waiting to find the right producer!